Disney USB Chargers Make Outlets Fun, Which, Uh… Guys? 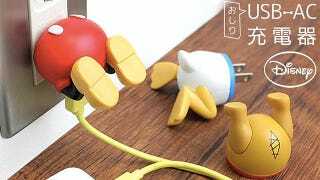 For those us without kids, these Disney-themed USB chargers seem like an adorable way to replace the adapters that came with our smartphones. But to anyone with a toddler roaming the house, exploring every last nook and cranny, they also serve as an engraved invitation to start playing with power outlets.